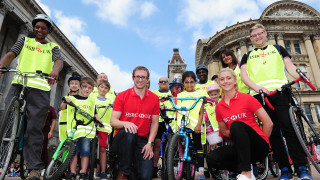 On 1 January 2017 HSBC UK became the lead partner of British Cycling. Over the next eight years, together we want to invite families from across the UK to revisit the joys and benefits of getting on a bike – from the functional to fun! 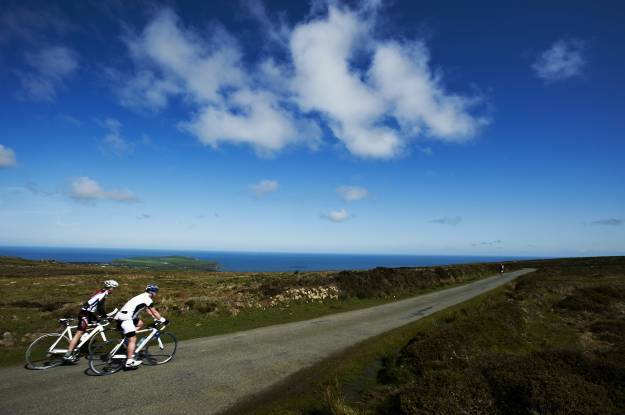 Cycling successes on the world stage have been an inspiration to millions around the country and cycling is now the fastest growing sport in the UK. Week in, week out, more and more people are enjoying the benefits of being on their bike – whether that is travelling to work, or exploring the countryside, or learning new tricks on two wheels. Throughout the year our jointly organised rides – HSBC UK City Ride, Breeze, Ride Social, Guided Rides, and Go–Ride - will appeal to whatever kind of cyclist you are from beginner, to lapsed, to enthusiast. There’s a ride for you! Together with our dedicated team of volunteers we aim to spread the message through these rides that cycling is about more than gold medals: it’s about fun, freedom and better health – and it’s for everyone! Our ambition is to get millions more people on their bikes by 2020. Through the British Cycling and HSBC UK partnership, we want to help break down the barriers to cycling so that the fifty percent of UK adults who are ‘lapsed riders’ re-visit the joy of being on two wheels and share those benefits with their friends and families. Embedding cycling as a part of our country’s everyday way of life will be the lasting legacy of our successes on the international stage. António Simões, chief executive of HSBC Bank plc said: “We are extremely proud to be working in partnership with British Cycling. Successes at the Olympics and Paralympics in both London and Rio have put cycling well and truly on the map and we are looking to help build on that legacy to make a real difference from grass roots cycling all the way up to those representing Great Britain at the very highest level. Our ambition is for this to become a true partnership that benefits every family across Great Britain”. So what are we waiting for? Let’s ride!